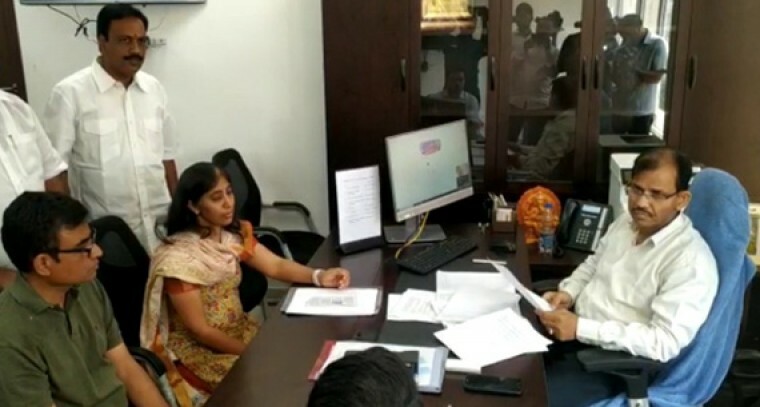 Demanding a fair investigation into the murder case of YSRCP leader YS Vivekananda Reddy, his daughter YS Sunitha appealed the AP Chief Electoral Officer Gopalakrishna Dwivedi not to allow politicians to make controversial statements on the case. She met Dwivedi at Secretariat at Velagapudi in Guntur on Thursday. She explained that the comments of the political leaders including Chief Minister N Chandrababu Naidu and others have been making statements on the murder case, which influence the free and fair investigation by the Special Investigation Team constituted for that purpose. Reacting to the media persons here after interacting with the CEO, she said that she only appeal the police to establish truth and conspiracy behind the murder. She blamed Chandrababu Naidu that he made statements on her father's murder, which would have an impact on the investigation. She further blamed that the TDP leaders diverting the attention from the facts by making derogatory statements on her father's death.